An aerial view of Chateau Ruphy, a French castle, as seen from Col de la Forclaz, a mountain pass near Annecy, France. In continuation of the castle theme, I present a photo of yesterday's same castle. And in taking more baby steps while I drive around the Haute-Savoie region, I've gone a bit further afield - to the other side of the lake - to take this photo. 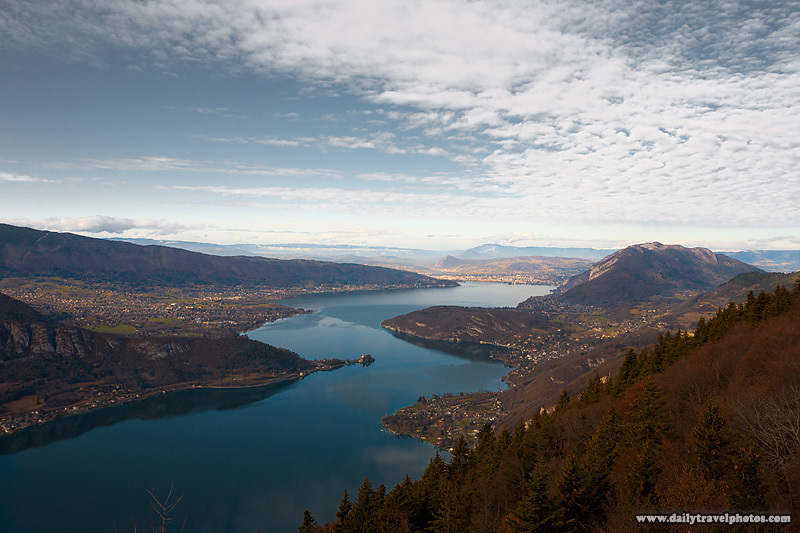 An aerial view of Annecy Lake spotted from Col de la Forclaz in the mountains above Annecy. The white mass of civilization touching the top portion of the lake is Annecy. 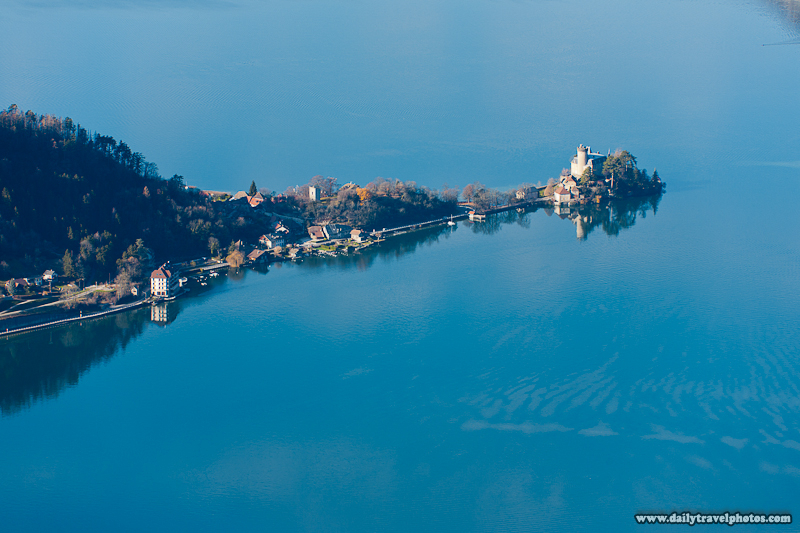 The area surrounding the lake is dotted with the most beautiful villages and some of the friendliest folk you'll meet in the developed world.